Seating really doesn’t get much quirkier than Poufman from Qayot. 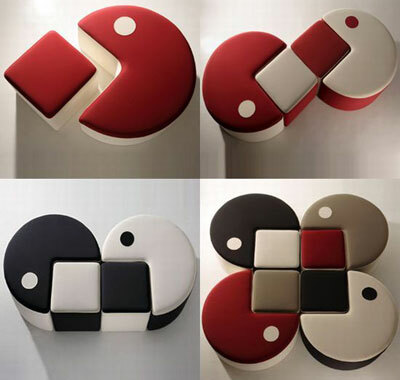 Yes, this is Pac-Man seating, the actual seat eating the square stool in just about any colour combination you require. Each unit has wooden support and polyurethane padding, covered by a fabric and polyester cover that’s both stain-resistant and removable. In fact, the only thing the detailed website doesn’t tell us is the price – apparently that’s ‘on request’.